The boys have been bouncing germs back and forth like a ball, so we’ve had plenty of indoor time with new books. Currently, we are loving the Baby University series by Chris Ferrie. We have the first four of the series in board books. The boy’s love books hard, and board books are the way to go. Board books must be printed and bound directly on thick paperboard. Board books must be durable and made to withstand the chomping, chewing, bending and attempted tearing that babies and toddlers love to make part of their early reading experience. 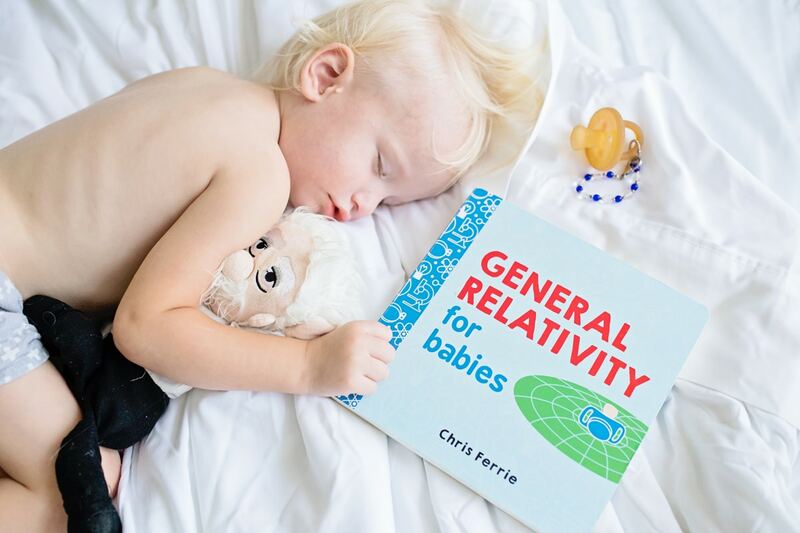 The author Chris Ferrie is a physicist, mathematician, and father of four budding young scientists. He obtained his doctorate in Mathematical Physics from the University of Waterloo in Waterloo, Canada and is currently a faculty member at the Centre for Quantum Software and Information in Syndey, Australia. Chris believes it is never too early to introduce children to the wild and wonderful world of science! My plan for this post was an in-depth review of how Oli is loving this book, but Oli just woke up, climbed to the top of the bookshelf and jumped onto his head. So I’m going to tell you that these books lay out complex ideas in simple terms and photos. You can discuss the topics with your children at an early age and without a PHD is quantum physics! Oli is 2 years old now and we can’t play ball without discussing the energy and mass of the ball. It’s very much adorable. It only takes a small spark to ignite a child’s mind. We have these two pre-ordered on Amazon! I’ll let you know if they are as good as the first four! I must admit I’m pretty excited for Optical Physics for babies, it’s a must buy for the photographer’s child! PS. 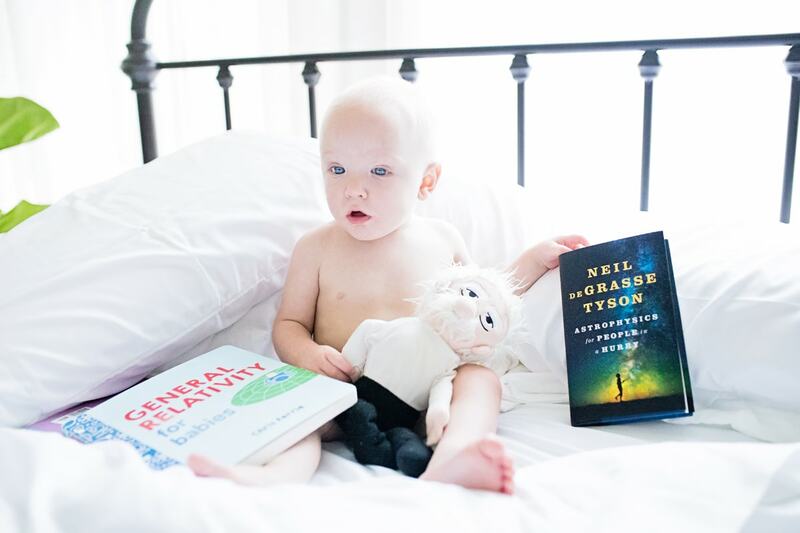 How cute are the Zuckerburgs reading a first edition of Quantum Physics for Babies?